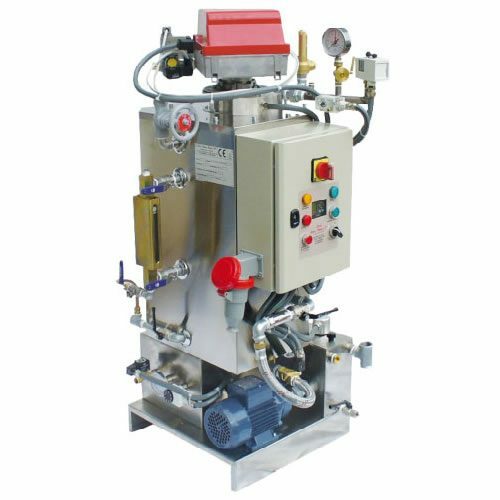 Steam Generator – Model Atomo – Ditta Mazzi Arturo & F.
Steam generator with horizontal water tubes with extremely reduced dimensions, so that it can be installed anywhere, even in particularly small spaces. The generator is mounted on a stainless steel platform of cm. 50x50 and is equipped with all the equipment as well as of a tank for recovery of feeding water and condensate, made in stainless steel.